Roasted garlic tastes really great. Garlicky, but without the sharpness of raw garlic. As an added bonus, the flavor doesn’t linger in the back of your mouth for hours after you eat it! 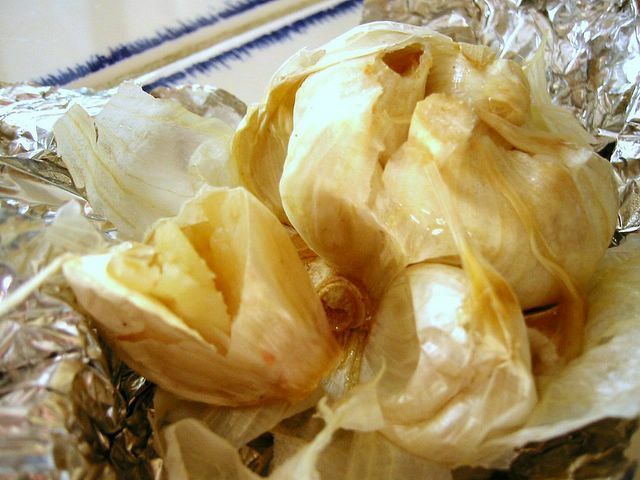 Just rub a head of garlic with a little oil or butter, wrap it in foil and bake at 375F for 45 minutes. The cloves will be very soft and you can just squeeze them out of their skin. You can use it in the same ways you might use regular garlic, but it makes a really, really terrific spread. Crusty bread + roasted garlic = garlicky goodness! I’m totally with you! I love roasted garlic, as an ingredient for japanese and thai dishes or like you said as simply as a spread. Leftovers (if not fully used up:) can be easily kept for 10-14 days in a jar with some oil to seal. Hi Nic, is there any of those er, garlic breadth linging after with these roasted garlic? Love the smell and flavour of garlic but hated the horrible garlic breadth after! This looks like a good way to preserve garlic. Thanks for the tip, Oliver! Pinkcocoa – I find there is little to no lingering garlic breath with roasted garlic. 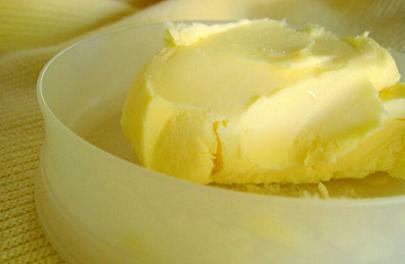 If there is, it is much sweeter and milder than raw or sauteed garlic is and goes away much quicker. I wouldn’t even hesitate to eat this on a date! I had some great roasted garlic the other day – the cloves were separated, peeled and cooked bathed in olive oil…I had never thought of doing it that way and they were GOOOOD – with the added bonus of being easier to handle and moosh into bread.